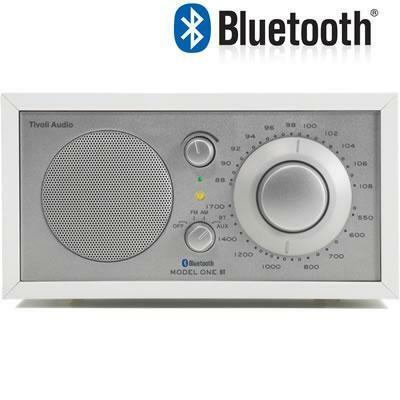 With the addition of Bluetooth® wireless technology, when you're not listening to Tivoli Audio's world-famous analog AM/FM tuner, you can listen to the music stored on your Bluetooth® wireless technology-enabled device. You'll never tire of hearing your music through the Model One BT thanks to Bluetooth® wireless technology's advanced A2DP profile, combined with the Model One BT's trademark equalization. And since Bluetooth® wireless technology is wireless, you won't have to dig out an audio cable for your enabled-device every time you want to listen to your music through the Model One BT.